“All told, or totaled, I would spend a week under A.N. Dyer’s roof, which is how I became a witness, the primary witness despite some feuding claims, to everything that happened.” So writes Philip Topping, the intrusive narrator of David Gilbert’s brilliant & Sons, near the start of the novel, which is due out in paperback from Random House on May 27. A.N. 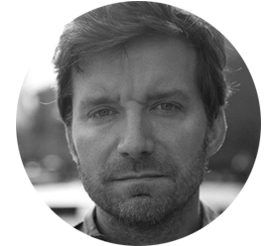 (Andrew) Dyer is an elderly, reclusive, New York-based writer in the vein of J.D. Salinger or Thomas Pynchon. When we first see him, at the funeral of his lifelong friend — and Philip’s father — Charlie Topping, our narrator describes it as “one of those I-was-there moments”, a chance sighting of a rare bird, especially when the famous author stumbles over his eulogy. The majority of the novel’s action takes place in the week that follows the funeral. Philip, recently estranged from his wife, moves in with the Dyers (Andrew and his son Andy) just as the ageing patriarch summons his older children, Jamie and Richard, home from their voluntary exiles in Vermont and California. To make amends or for some darker purpose? Echoes of some of the great-slash-terrible Shakespearean fathers — notably Lear — abound as the plot elegantly unfolds. 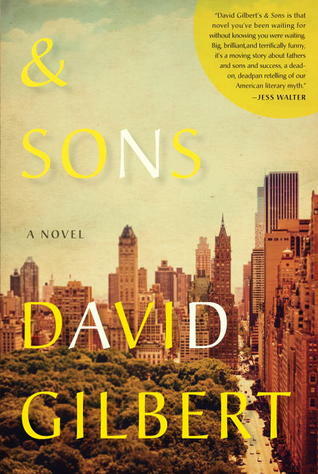 & Sons is a great novel about great novels and a fresh meditation on one of American literature’s enduring obsessions, the father-son dynamic. The characters are literary in an almost literal way, the punctuation-metaphor a major feature of Gilbert’s arsenal. Examining Andrew’s posture at the funeral, for instance, Philip is reminded of a comma, “its intent not yet determined”. Later, after a punch-up, Jamie’s nose is left with “a parenthetical bend to the left”. His old girlfriend Sylvia, meanwhile, had an “asterisk-like belly button”. It’s a fascinating tic — sufficiently unobtrusive as to be missable at first, but ultimately highly revealing. After all, Philip must construct what he cannot know — the thoughts and feelings of his subjects. He refers to his father and Andrew as “heavily redacted men”, a redaction felt in the novel’s curiously mutilated title. & Sons, with its absent Fathers, is Philip’s creative attempt, using Andrew’s letters and what he reads into the scenes he witnesses chez Dyer, to declassify Andrew and Charlie’s secret history. The fact that his subjects bear the mark of their invention, that they come to resemble typed “characters”, is like a corny joke writ sufficiently large that it takes on the aspect of a symptom. The novel won the National Book Critics Circle Award, which some considered a consolation prize. The judges praised the story of Percy Sr. and Jr. and their silent struggle for connection, citing in particular the journal entries of Percy the younger and their uncanny verisimilitude (a word Richard had to look up, thinking it had something to do with vivisection). Perhaps worst of all, fiction can be a form of torture. As the plot unfolds through the distorting lens of Philip’s interpretation, we learn that the novel central to Dyer’s canon, a dark adolescent fable with echoes of John Knowles’s A Separate Peace, is in fact a cruelly encoded version of an event that forever entwined the Dyers and the Toppings. In Philip’s reading, the novel’s title (Ampersand) and imagery are the proof. But he fails to note Andrew’s initials (A.N.D. ), which, in punning on Ampersand, carry the faint suggestion that he is just as much a pawn in Gilbert’s grand scheme as Charlie was in Andrew’s. “what do you call this area of the mouth again?” He touched the labial commissure, though neither of his sons knew the term. or when he describes Andy and cousin Emmett catching snatches of “The Blue Danube” while wandering through Central Park, “though they had no idea of the name, only a familiarity from old cartoons”. His condescension is highly revealing. Most of the time, though, he is invisible, rendering Gilbert’s use of free indirect style fish-slippery. In retrospect, it’s clear that each character might be read as a reflection of Philip’s attitudes towards them. Richard and Jamie, who were never kind to him despite his obvious need to be liked, come across as bitter, narcissistic failures. Andrew, in a dark refraction of Philip’s imagined life for his own father, is tormented by guilt and regret. It’s an extremely rich, often dark book, but funny, too. Andy, discovering that he is communicating by email not with his father but with the young woman who manages his website, flirts with her, “Dad, you are a very naughty girl.” Philip describes his sister’s family at the funeral, “jammed together” on the second row, as “sour yet insistent, like the richest people flying coach”. And at a book launch at the Frick, “these writers trailed glances of vast amusement — Is that Amadellia-something over there? — while also maintaining stock-in-trade seriousness, discussing new novels or retreats or conferences, yeah, yeah, Amazon, yeah, ebooks, sigh, Franzen.” Not unfamiliar, perhaps. A novel about the art of fiction is an inevitably “meta” proposition. Through its careful construction, weaving A.N. Dyer’s (fictional) fiction into the fabric of the novel, & Sons examines our desire to find meaning in narrative, to spot mythical patterns in the entropic sprawl of life. But it’s far from a chilly exercise in metafiction. Gilbert’s warmth shines through, particularly in his younger characters and in the revealing correspondence between Andrew and Charlie, which prefaces each part of the book. And there’s at least the suggestion, in the final chapters, that writing might also offer a chance for redemption. David Gilbert will appear at The Ink Runs Dry on May 20 at City Winery. You can buy tickets here.